“Have you heard the buzz? The toys are back in town! Disney On Ice presents Disney / Pixar’s Toy Story 3! 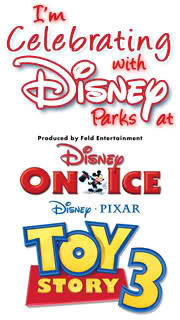 Feld Entertainment is bringing Disney on Ice / Toy Story 3 to the Boston Garden for Winter Vacation week. You can get discounted tickets for your family to enjoy the show! *SPECIAL NOTES: Seats are sold on a first-come, first-served basis. Popular performances sell out quickly, so act now! This offer may not be combined with any other offer and does not apply to group sales orders. This offer valid only for show dates and times listed above. Use your American Express, Mastercard, or Visa for online orders or your American Express, Discover, Mastercard, or Visa for phone orders. Service charges and handling fees may apply. Disclosure: I have received tickets for Opening Night for my family for a performance at no cost. This entry was posted in Disney on Ice. Bookmark the permalink.